Hidden Pond Park – christopher consultants, ltd.
christopher provided grading for the new playground at Hidden Pond Park in Fairfax County, as well as stormwater management analysis for the site. Since the park is located at the end of a residential street and is bounded on all sides by residential properties, the christopher team provided coordination with the surrounding homeowners and the Nature Center volunteers to settle on the current placement and design. The schematic design investigated the picnic shelter placement in three different locations, and various alternatives for parking expansion. After much consideration, it was decided to construct a new state-of-the-art playground adjacent to the existing parking lot, and to construct the picnic shelter at the site of the old playground. Accessible parking was added adjacent to the picnic shelter. With the layout, improvements were accomplished with a minimal addition of impervious surfaces, for which stormwater management was provided in a bioretention facility. As part of the stormwater design, a new pipe outfall was installed to correct an existing drainage and erosion problem along the park trails. 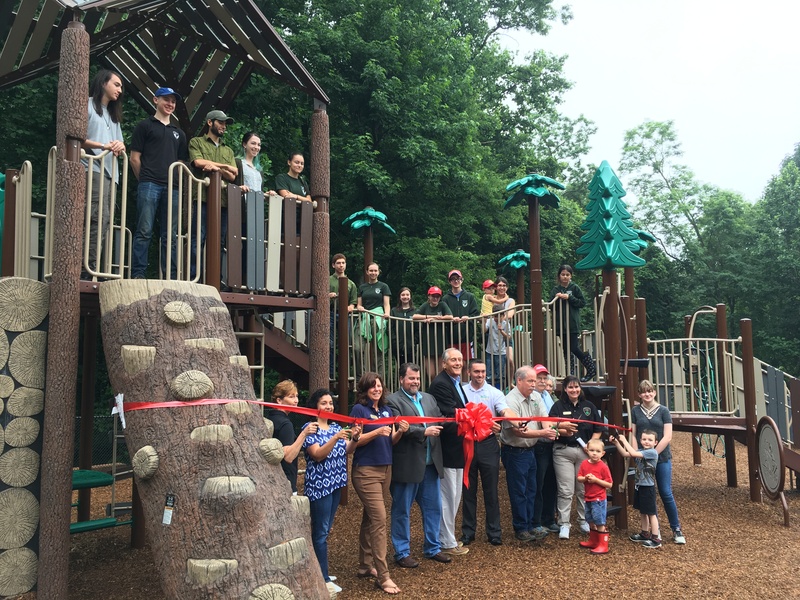 The renovation of Hidden Pond Park was part of an initiative started by the Fairfax County Park Authority to analyze all of their facilities regarding expenses and current revenue to discover ways to add more value to the parks themselves and to County citizens. Hidden Pond Park was identified as a potential for expansion.